HTML or HyperText Markup Language is the structure of a website. It is as much as a skeleton to a human, it is for a website. All developers should at least know what HTML stands for, all the terms and jargon. 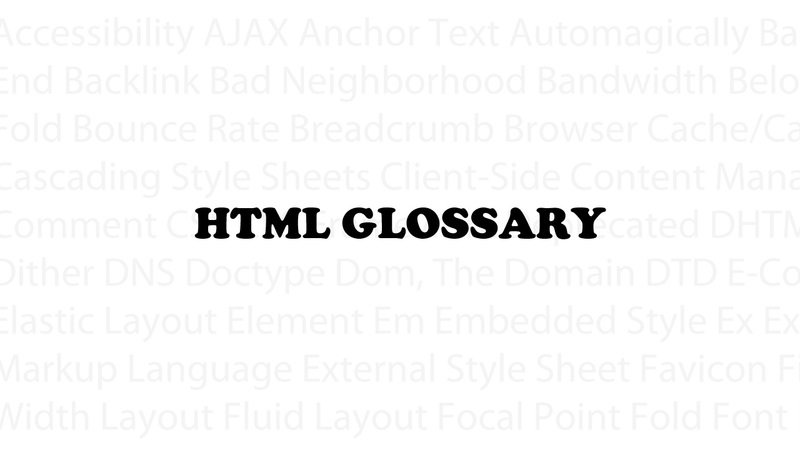 Today, the team would like to share two links that we always refer to when we are refreshing our HTML Glossary & Terms. This is not only useful for developers, designers and project managers can benefit from this either. This helps out with communicating with the team and reduces the redundancy of errors on both sides, so you may want to bookmark this for your future reference! And if you’re a front-end developer, why not check out How Good Are Your HTML and CSS Comments are? You’ll be glad to know if you’re doing this right. Hakim is the Front End Developer for Stampede. Recently jumped into the boardgames scene. Interested in HCI, Design Thinking and User Experience. Netflix hogger.